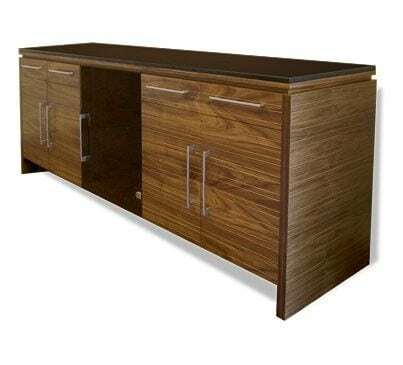 Sideboard with Canaletto walnut or burned oak doors and a lacquered wood frame. Internal glass shelving and painted steel feet. 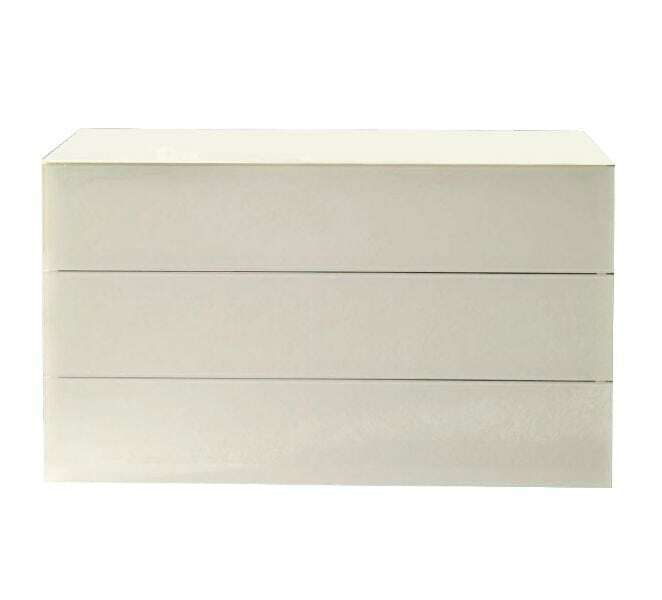 Frame: white, graphite or matt moka lacquered wood. Doors: Canaletto walnut or burned oak. Shelving: clear glass. Feet: Black embossed painted steel. 2 door (WxDxH): 1470x450x730mm. 3 door (WxDxH): 2200x450x730mm. Optional: internal drawer in the central door. 3mix (WxDxH): 2200x450x730mm. 2×2 (WxDxH): 1470x450x1400mm.